Several years ago I wondered aloud if the women designers of Newcomb Pottery could have imagined the expanded opportunities available to today's creatives living and working in New Orleans. Talents like Rebecca Rebouche, Shelley Hesse, and Kaki Foley. Well, starting next week -- Tulane’s 2013 Homecoming -- and continuing into 2014, we'll be reversing the focus, looking back at the Newcomb wares with fresh eyes. 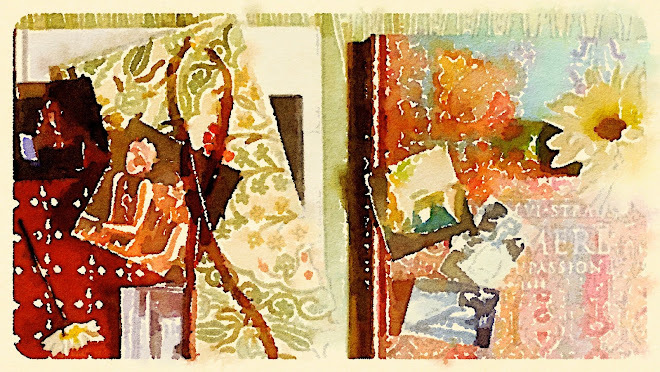 An exhibition featuring about 180 pieces (Newcomb textiles, bookbinding and metalwork as well as the iconic ceramics) will be on view October 3 through March 2014 at Newcomb Art Gallery. This major show, Women, Art, and Social Change: The Newcomb Pottery Enterprise, is then slated to travel to the Georgia Museum of Art in Athens and later tour the U.S. Also, Rizzoli is releasing the accompanying book, The Arts & Crafts of Newcomb Pottery, filled with wonderful detail shots of the luscious glazes and the women's trademark stylized renderings of Southern flora -- magnolia, Spanish moss, crepe myrtle. I think these up close views of the flattened patterns will help viewers see design connections with Iznik ceramics and maybe even the Tory Burch fall 2013 Nouveau-influenced dress I spied yesterday in line at Starbuck's. In case you missed it in a previous post, this Newcomb vase is in the High's collection. Although credited to Joseph Fortune Meyer, the man who threw the pot, it was painted by a woman. One of the goals of the show is to identify more of the individual Newcomb artists who've remained anonymous. 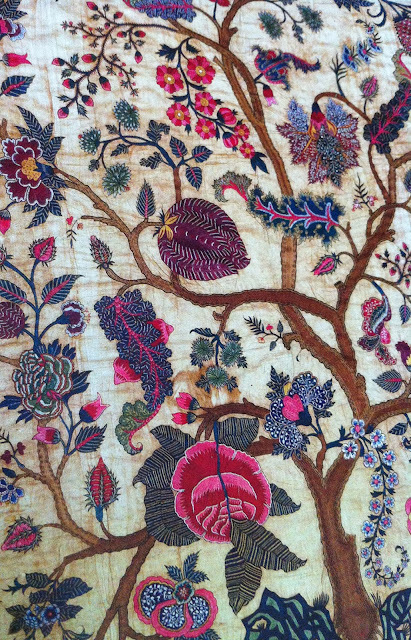 So wild and stylized are the representations of flora on bedcovers like the Indian palampore pictured here that it's hard to definitively classify the blossoms. I don't think any dahlias are part of the design, which by the way is exceptionally intricate, incorporating highly detailed chain stitch embroidery meant to resemble resist dying on a printed cloth, but I expect to see similarly rich colors on view this weekend in Atlanta at the Dahlia Society Show. The botanical anatomy of palampores and other trade textiles included in The Met's exhibition, Interwoven Globe, will be discussed in a free October 4th lunch time lecture with visiting professor Masako Yoshida from Kyoto City University of Arts (in case you missed the earlier announcement). Color -- insane purples, pinks, yellows and reds from India along with deep indigos from Africa, the Americas and India -- is covered in the exhibition catalogue. 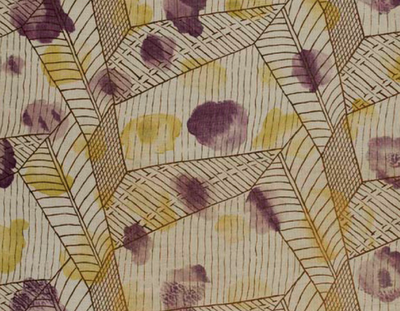 Elena Phipps looks at the science, economics and fashion behind the dyes. And over at the show's homepage, The Met has posted links to synopses of other topics discussed in the book. 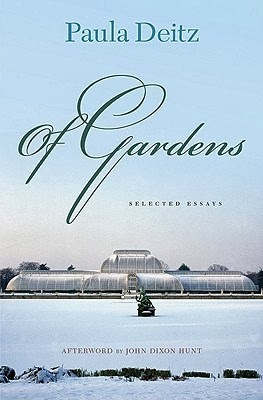 Anticipating next month's Deitz lecture, I decided to begin reading Of Gardens and take a virtual trip around the world. 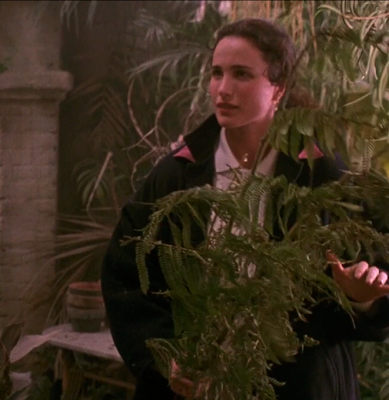 What I didn't expect was time travel to the 1990s and a visit to the set of blogosphere favorite, Green Card. 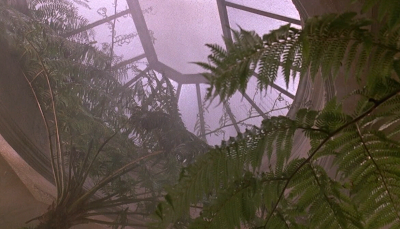 The designer unearthed old leaded glass to bring a sense of authenticity to Brontë's invented conservatory and hired Joni Brockschmidt as a greensperson, constantly refreshing the orchids and other plants, writes Deitz. Apparently Andie MacDowell didn't let the magical set go to waste; after the shooting wrapped, she transported the conservatory to her own house. For more details, read Deitz's condensed, archived piece or better yet check out her book. 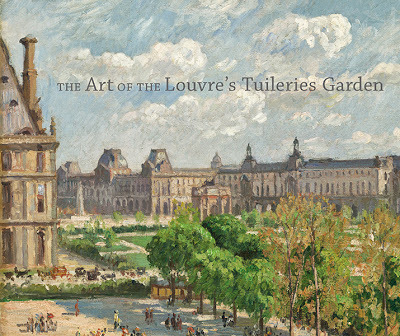 Paula Deitz, acclaimed arts and garden writer, Smith alum, and Editor of The Hudson Review, will visit Atlanta next month in conjunction with the High's upcoming exhibition, The Art of the Louvre's Tuileries Garden. Known for her clear and vivid essays, Deitz is said to have the ability to transport readers across the globe, down garden paths from India to France. One collection of essays, Of Gardens, was published in 2010, and more recently she contributed to the catalogue accompanying the High's show. Her free Atlanta talk, Time and Timelessness in the Tuileries Garden, will focus not just on the history of the storied public space but also on her personal experiences there as a student. If you want to save the date, it's Thursday, October 24, from 6 to 7 p.m.
BTW, even though I keep referring to the big fall show as the High's, it represents a collaborative effort of the Louvre, the Portland Art Museum, and the Toledo Museum of Art. In 2014 Tuileries will travel to Toledo and Portland (Oregon). Have you seen Amanda Harlech's nests over at Vogue? As reported by Lynn Yaeger, Harlech's wild, large-scale nests were recently installed throughout Apsley House in London for the Global Fund's Green Carpet Challenge. 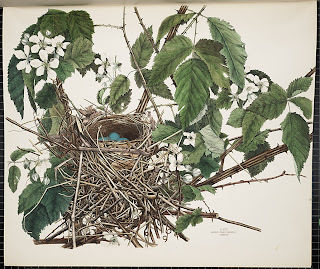 Artistic interpretations of nests sometimes make my mind wander to the painstaking illustrations of Genevieve Jones, the young 19th century artist and amateur naturalist whose career was cut tragically short. 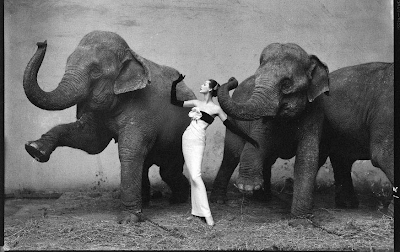 Were she alive today, Anthropologie might be tapping Jones to do a collaboration. But until last year, when Princeton Architectural Press published America's Other Audubon, Joy Kiser's well-researched book that encompasses 68 repros of Jones's original color lithographs, the nest-and-egg-obsessed artist was not known in the mainstream. Although her admirers once included Teddy Roosevelt and Rutherford B. Hayes. 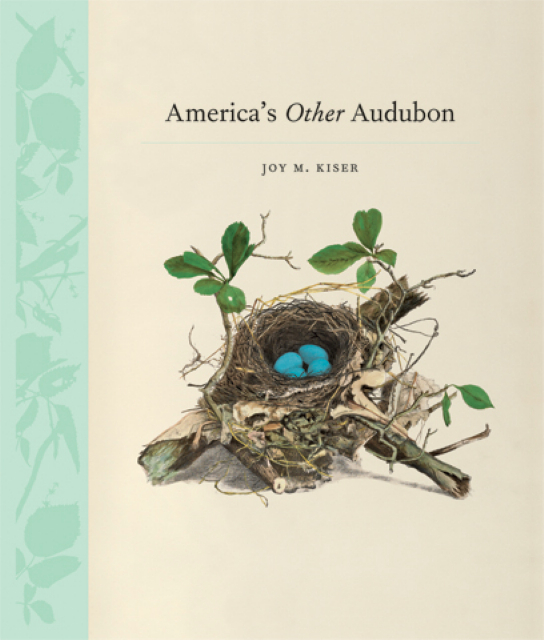 Adventurous enough to embark on what she hoped would be a sumptuous companion folio to Audubon's The Birds of America (think 19th-century equivalent of a lavish Taschen special edition), Jones had incredibly supportive parents and friends. 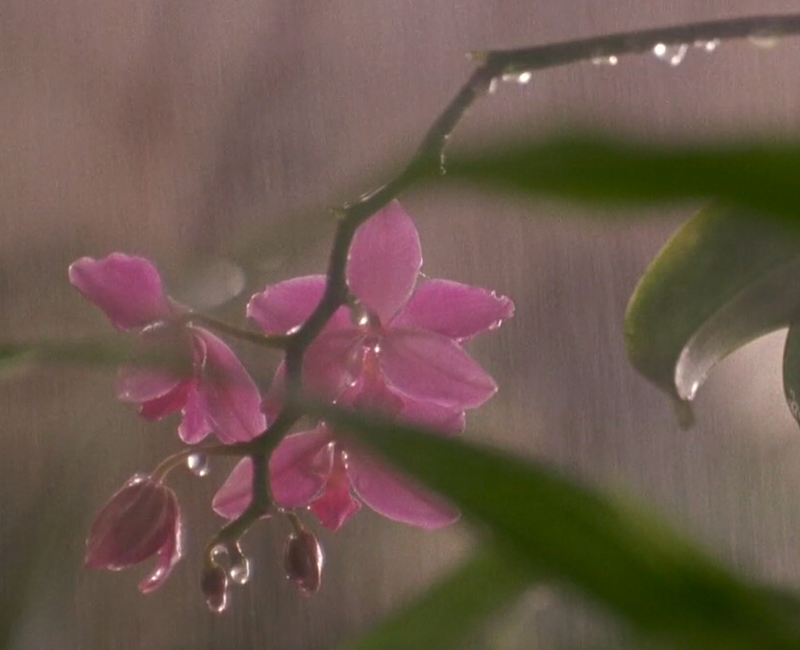 Learn about everyone's efforts to publish her work at the Smithsonian's microsite. 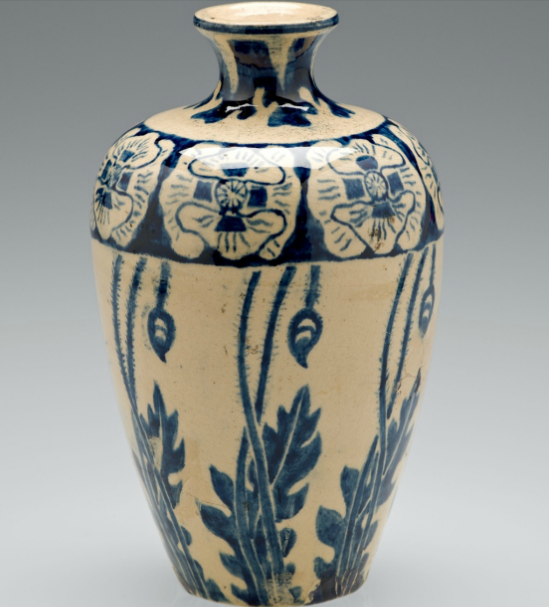 Yesterday The Met posted a remarkable 134 objects from the just-opened show Interwoven Globe. 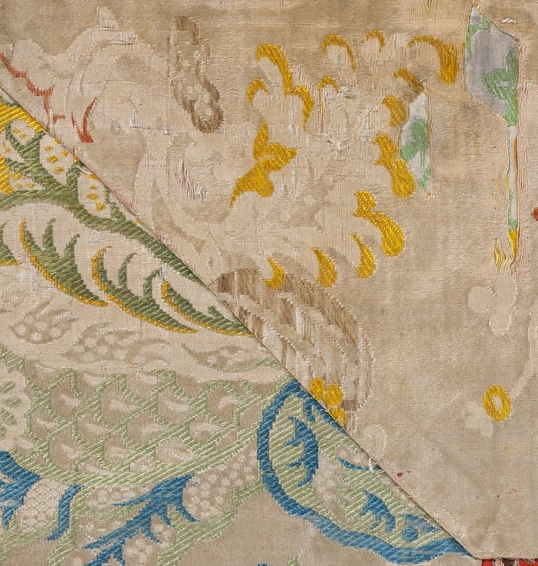 One of the pieces, this patchwork-patterned 18th-century Japanese Buddhist vestment, is a great example of the cultural crossovers seen throughout the exhibition. 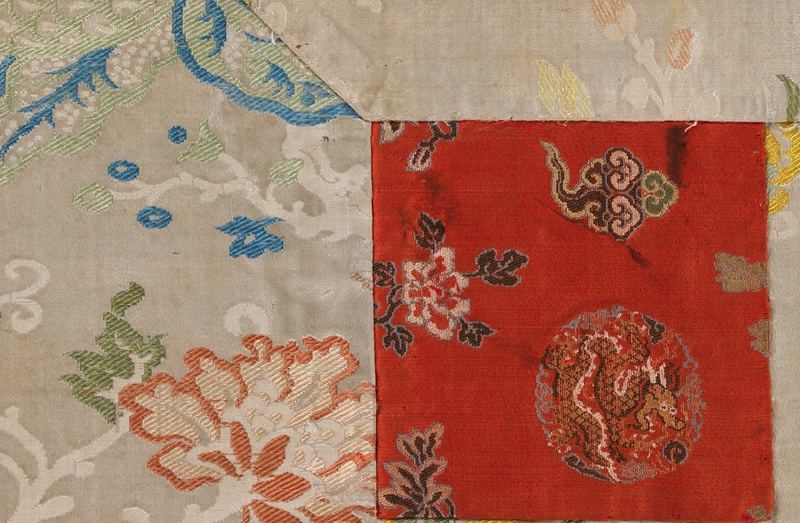 The dominant textile here is Chinese silk -- cloth that was actually produced for the European market with a lace-patterned design -- but the dragon motif on the red patches is quintessentially Chinese. 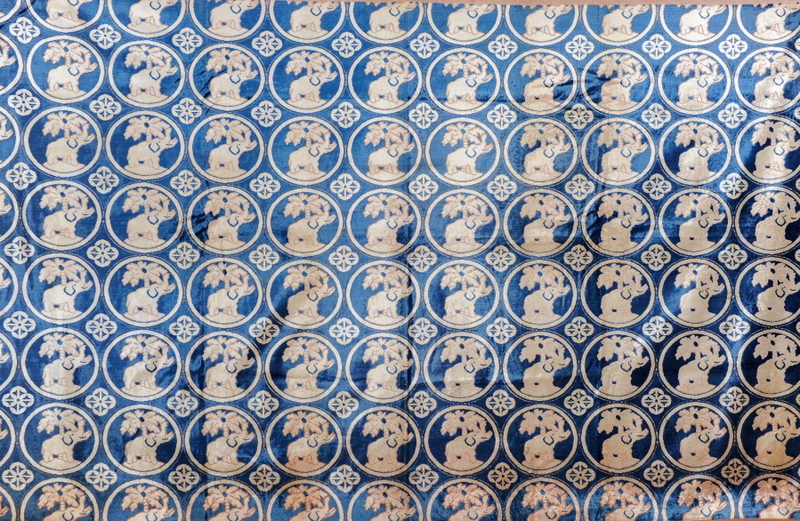 The Met says that while the Western-style silk is a surprise, the Japanese had traditionally favored kesa made from imported Chinese fabrics. The Chinese silks would have felt exotic at the time. 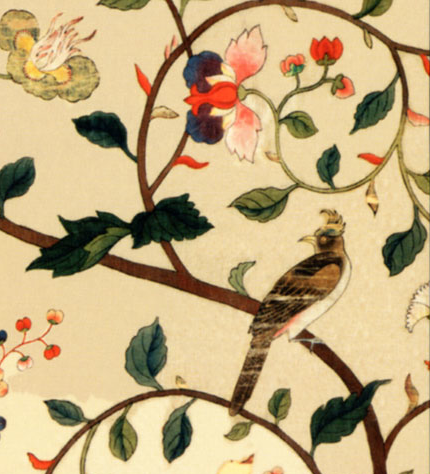 As more Interwoven Globe exhibition-related products continue to become available online, I thought I'd point out that one of the note cards for sale features an amazing painted and printed silk taffeta chinoiserie wall panel. It's 18th century and was produced in China for the European market. Almost revolutionary products at the time, these handpainted silk panels comprised a surprisingly small percentage of all the textiles exported from China to the West, says The Met. To this day, though, they influence interior decoration. And when the panels were a contemporary design element, they led to the creation of those iconic "Chinese Rooms" in grand English country houses. Click here for the ultimate guide to Chinese Export wallcovering. BTW, in the Museum's new box of notecards, a gorgeous Indian palampore is included too. 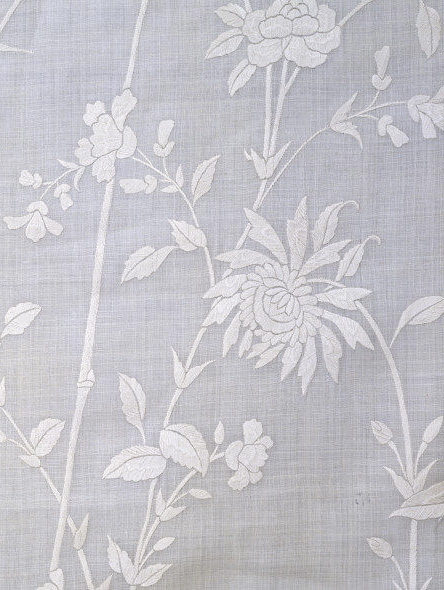 Obviously textile appreciation has long been big at The Met. 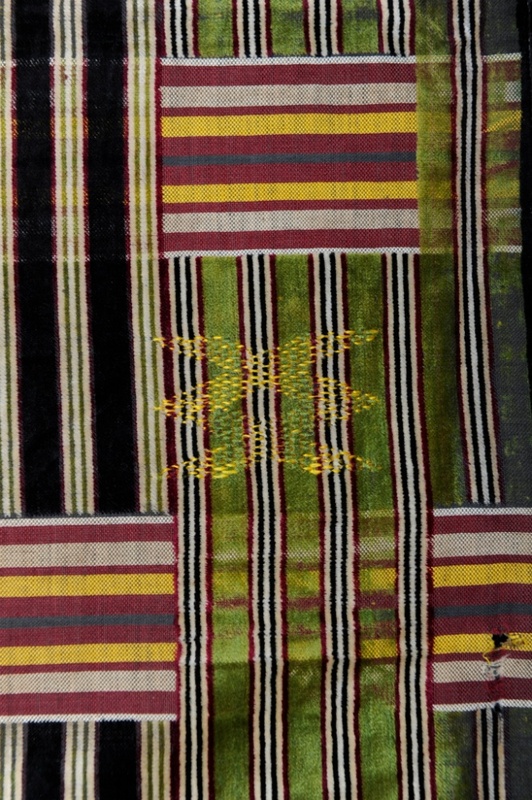 Throughout the last century, the museum organized so many innovative exhibitions centered around fabric. 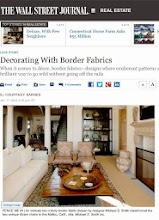 But curator of American Decorative Arts, Amelia Peck, explains that few of these shows approached the subject from a global angle, exploring international trade and showing how different regions have influenced each other creatively. 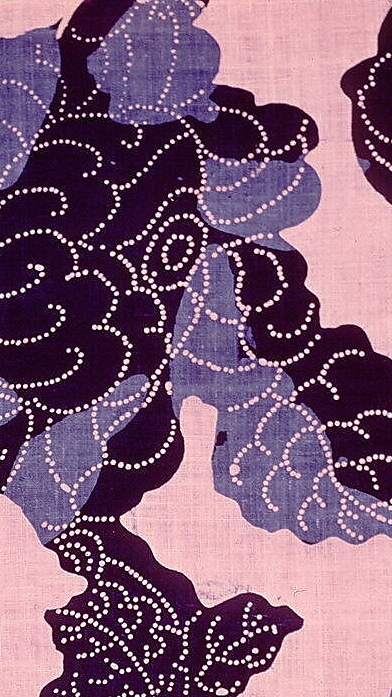 Well, with a couple of remarkable exceptions: In 1927, the museum's first curator of textiles, Frances Morris, mounted Painted and Printed Fabrics. Apparently it was a truly globe-trekking show, with pieces from Java to France and points in between, however Morris put special emphasis on stunning palampores and other Indian trade cloths from the G.P. Baker collection to demonstrate how these painted fabrics inspired European designs. Later, writes Peck, the exhibition China Trade and Its Influences was organized in 1941 by Joseph Downs, then curator of the American Wing. It sounds like Downs could've been a bit of a kindred spirit with Diana Vreeland. 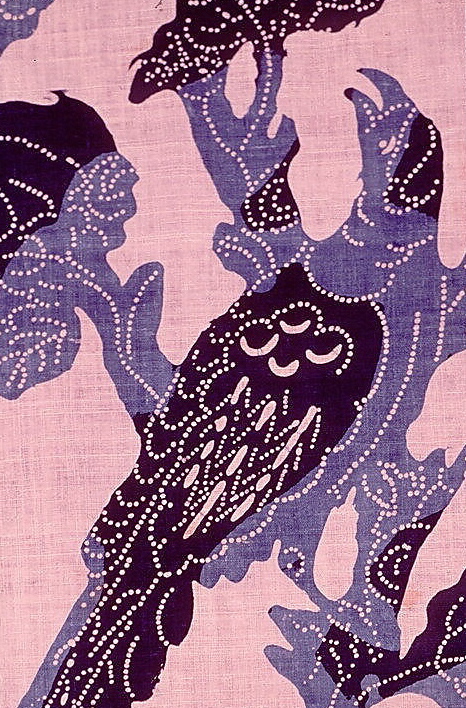 He brought a sense of fantasy to his show -- or, maybe more to the point, underlined the whimsical nature of chinoiserie -- by incorporating pagoda-shaped ceilings and swathing the gallery walls in melon-pink, celadon, Imperial-yellow and pale blue. The spark for this year's soon-to-open show, Interwoven Globe: The Worldwide Textile Trade, 1500–1800, was an old indigo-dyed, large-scale, blue-resist fabric from Matisse's personal collection. 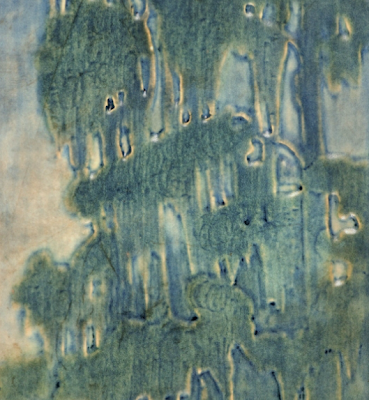 This print must have been one of his faves because it reappears in several paintings. (Remember the Sotheby's sale?) 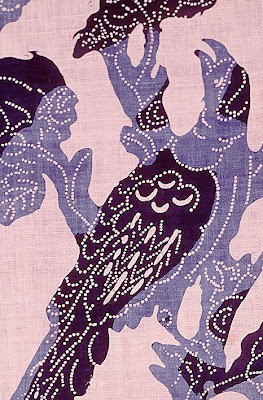 In 2005, when Matisse: The Fabric of Dreams -- His Art and His Textiles was at The Met, Peck was called in to help describe the very American-looking cotton. Longstanding questions surrounding the true origins of similar fabrics led to a lot of research on Peck's part. 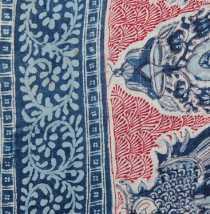 Current evidence suggests that numerous indigo fabrics, like The Met's bird and vine print shown at top, were yet another type of cloth manufactured in India, not England as previously thought. Although, the museum's blue-resist panel certainly seems to have had commercial ties to the West. It was probably commissioned by the English East India Trading Co. for the American Colonies because, as an import, it would've been banned in England during the mid-18th century. And art historians think colonists in the New World liked to perk up their rustic rooms with simpler blue-and-white prints. 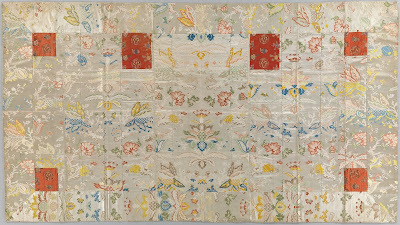 The complex international relations behind these cottons inspired Peck and her colleagues to organize a major show about all sorts of interrelated textiles -- covering the entire planet from Latin America and the United States to Japan, China, India, Turkey, Italy and other regions. 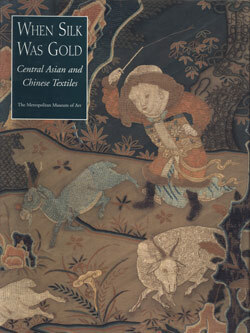 So that's the back-story on the new exhibition's catalogue cover. More about the contents to come. 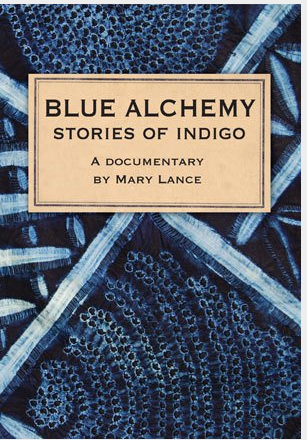 In December, The Met will screen Blue Alchemy: Stories of Indigo. Visit the events page for details. 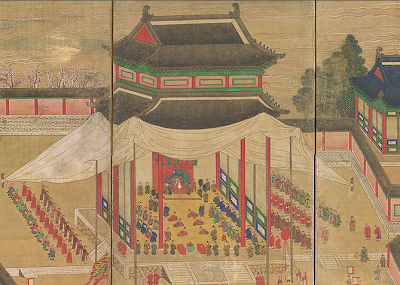 Heads up party planners and designers of all stripes: pieces including an incredibly vibrant embroidered-red-silk Joseon Dynasty bridal robe, a king's palanquin, and traditional Korean paintings of royal festivities will be among the 100 objects traveling to San Francisco for In Grand Style: Celebrations in Korean Art opening at the Asian October 25. In contrast with the myriad export wares we've been discussing lately, the pieces in this exhibition will reflect Korean taste, Korean culture and the significance of ceremony. For color inspiration alone, the show looks like it's not to be missed. 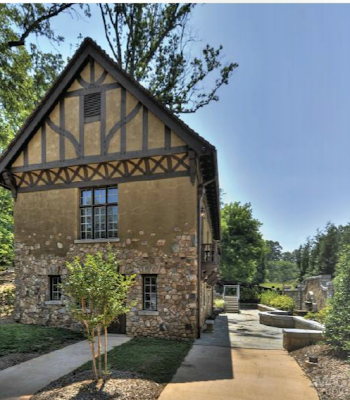 Rich, dark beams contrasted against pale cement stucco define Callanwolde, once a 27-acre 1920s Atlanta estate designed by architect Henry Hornbostel for Coca-Cola founder Asa Candler's eldest son, Howard. Solid and bold, aesthetically it veers toward the masculine. 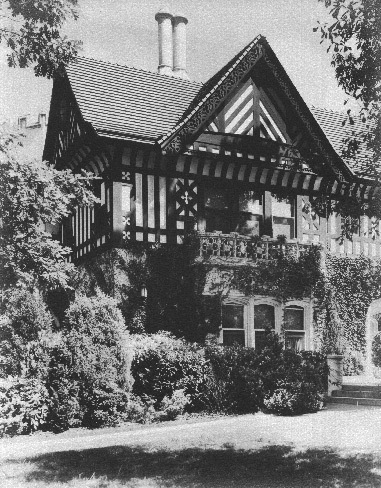 Maximizing the graphic punch of Gothic-Tudor-inspired half-timbering, Hornbostel also brought a modernist sensibility to the expansive main house with large, spare, completely unornamented forms. So it's a surprise to find the pastel-hued music room with delicate inset hand-painted chinoiserie panels. Typical of chinoiserie-themed decoration in the 20s through the 40s, the room is quintessentially feminine. Entering it right off the cove-ceilinged, stone-arched, very Gothic-Tudor front hall, you can get a terrific sense of the divergent styles that were simultaneously in vogue during the era. Juxtaposed with the walnut-paneled Great Hall, the airy Italian-influenced dining room provides more visual contrast. Look up to appreciate the intricate, highly decorative plasterwork. Visits to Callanwolde can be wonderfully low-key, by the way. 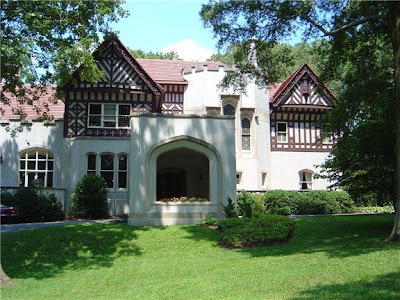 Today the mansion, outbuildings and remaining 12 acres function as a non-profit community arts center, offering dance, music, ceramics, photography and literary classes for children and adults. Because of Callanwolde's public role, the estate is kept very accessible. 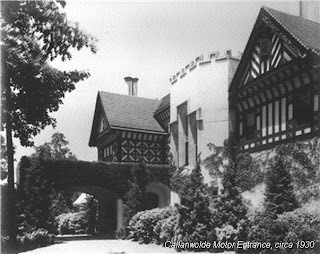 Of course, it has evolved a great deal since Mrs. Howard Candler initially donated her home in 1959 (currently in the living is a barre for young ballerinas and the arcaded inner courtyard has been glassed in for special events). 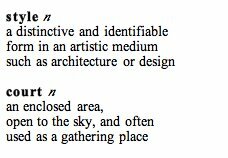 But the core architectural features -- massive stone fireplaces, elaborate tracery -- and gardens are there to be studied. You can pop in at your leisure, for free, on Saturdays from 9 a.m. to 4 p.m. or during the week from 9 a.m. to 10 p.m. I'm still researching the use of chinoiserie in the music room, specifically the silk panels that would have been in place pre-restoration. 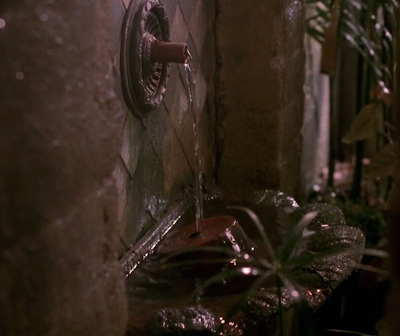 For now, I wanted to put the house on your radar. Chinoiserie will be prevalent in Interwoven Globe and over at Treasure Hunt, Emile continues to discuss multi-layered Chinese wallpapers designed for export to the West. 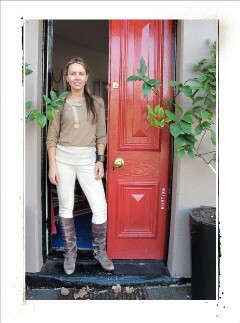 Check his blog for sneak peeks at the upcoming National Trust catalogue. 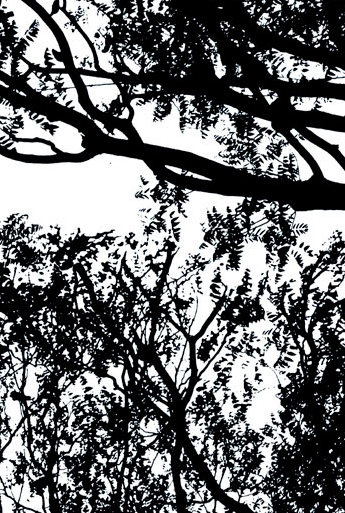 Ready to become immersed in the graphic lines of Finnish textiles or the earthiness of California ceramics? Design by Hand is an upcoming series of public programs recently organized by The Cooper-Hewitt. Initially focusing on iconic brands including Marimekko (fall 2013), Heath Ceramics (spring 2014) and Van Cleef & Arpels (fall 2014), the bi-annual workshops and talks will highlight various craftsmen and innovators through spring 2017. This fall, for example, college students, high school students, and adults will have opportunities to work side by side with Marimekko designers in workshops at the Cooper-Hewitt Design Center. Programming for students is free; adult general admission ranges from $10 to $50 depending on the happening. Family workshops led by museum educators are free. Click here to register. 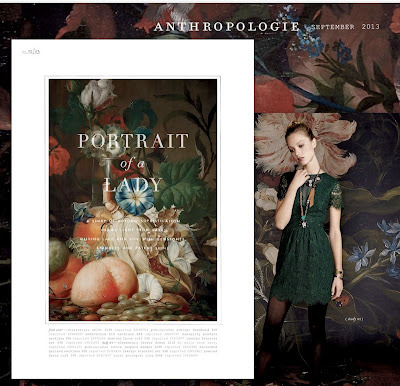 In case the wonderfully over-blown still life backdrops in Anthro's September 2013 catalogue aren't enough of a reminder, here's a link: Girl with a Pearl Earring: Dutch Paintings from the Mauritshuis, an exhibition that includes fantastic florals by 17th century court painter Rachel Ruysch and Abraham van Beyeren in addition to the iconic Vermeer, is in its final weeks at the High and will close September 29. Next stop, The Frick. 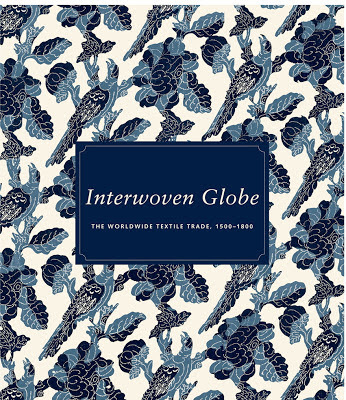 For the next few days I expect to have my eyes fixed on the pages of The Met's new exhibition catalogue, Interwoven Globe: The Worldwide Textile Trade, 1500–1800. The stunning copy I pre-ordered arrived today and as anticipated it's filled with remarkable pieces from across the continents. 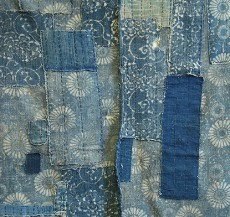 When I finally get my face out of the book and post a review, I'll share a bit about why an image of a mid-18th-century blue-resist cotton was chosen for the cover. The fabric, now believed to have been block-printed and resist-dyed in India for the West, has an indirect connection to a similar printed cloth Matisse incorporated into more than one of his paintings. 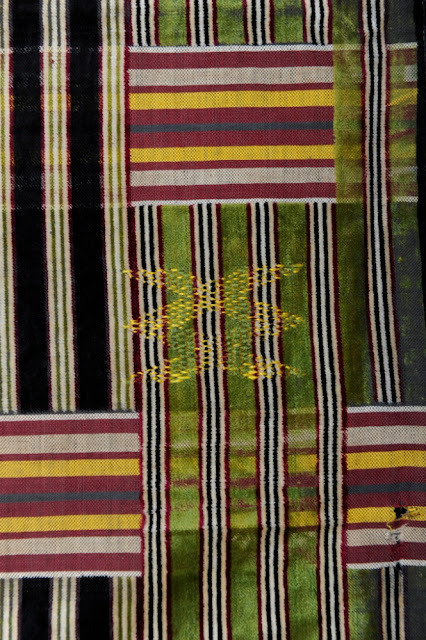 If you quickly glance at pictures of these textiles in thumbnail size, you might assume you're looking at cotton batiks and strip-woven West African cloth (kente). 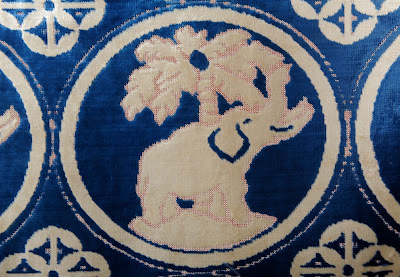 But in a surprising twist these are actually European velvets, spotted over at the Karun Collection, that were originally produced for the West African market. 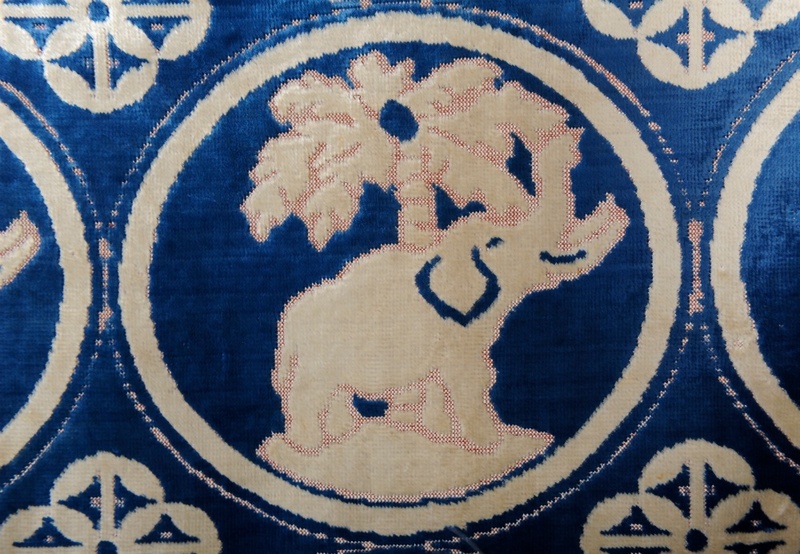 Karun has several brilliantly colored pile fabrics done to emulate the graphic patterns of kente along with a couple of elephant-and-palm motif cut velvets. For a little velvet 101, specifically the production and marketing of the luxe European fabric that has historically been exported around the globe, visit The Met. 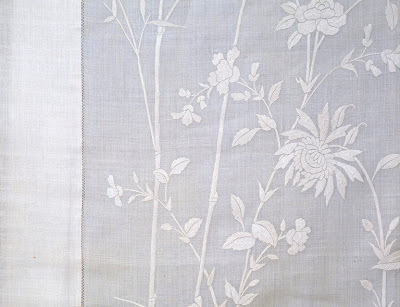 This whisper-soft curtain was created in China for export to an American family around 1830 to 1840, nearly six centuries after Venetian Marco Polo journeyed along the Silk Road and shared his legendary travelogue that piqued Westerners' curiosity about Asia. But the delicately embroidered piece -- yet another beautiful mash-up of Chinese design and European tastes -- is a legacy of that earlier age of exploration and trade. Teen adventurer Marco (the original Man Shops Globe?) is believed to have seen an already thriving export industry in Mongol-controlled China when he arrived there in the 13th century. A major new show, Marco Polo: Man & Myth, opening at Atlanta's Fernbank Museum of Natural History on September 28, will explore the era with lush silks, models of Chinese junks and of course porcelain. Also expect to enter a full size yurt and glimpse numerous Mongol objects including a horse bridle and headdress. A reminder: The centenary of the Omega Workshops -- an early 20th century experimental design collective formed in 1913 by art critic Roger Fry -- will be celebrated during the upcoming London Design Festival. 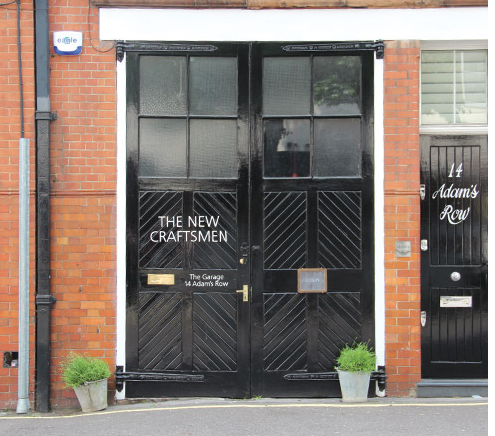 Activities include a painted objects masterclass led by Sophie Coryndon at The New Craftsmen Garage on Thursday, September 19 from 11 a.m. to 4.15 p.m. Since Omega members were artists associated with the Bloomsbury Group (Vanessa Bell, Duncan Grant) who typically painted a wide variety of decorative items in addition to designing ceramics and textiles inspired by the work of Matisse and Picasso, Coryndon's class participants will paint wooden writing cases, lampshades and lamp bases, and apple crates. Details here. Later that same day, from 7 to 9 p.m., Courtauld curator Dr. Alexandra Gerstein will show original Omega designs in the Museum's Drawings and Prints room. Click here for tickets. Since we just looked at Marie Antoinette's private gardens, something over at Enfilade grabbed my attention. 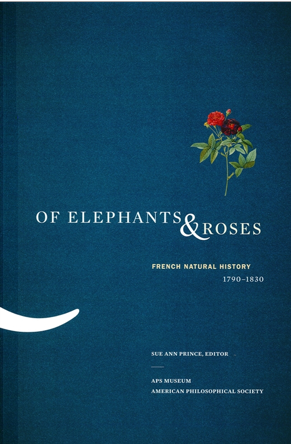 It deals primarily with post-revolutionary French natural history and the era of Empress Josephine. So more Pierre Joseph Redouté and more Zarafa. 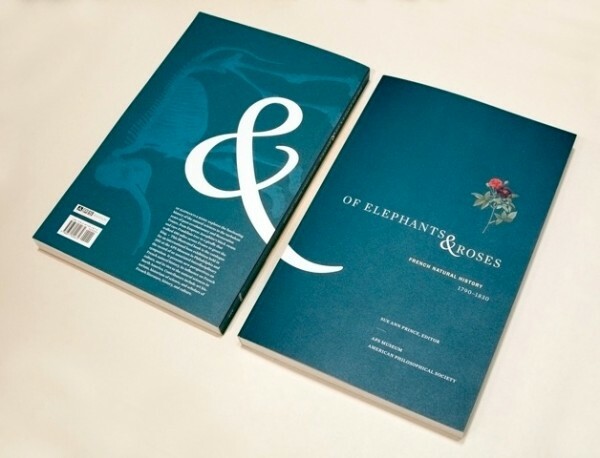 In 2011, Of Elephants & Roses was on view at the APS Museum in Philadelphia. This exhibition delved into the scientific and economic progress that happened because of work at two gardens: Malmaison and Le Jardin des Plantes at the Paris Muséum of Natural History. 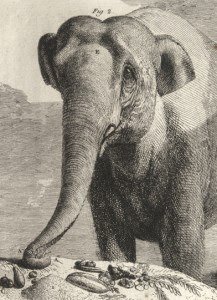 A bit of pop culture was included, too, with a section on the giraffomania that swept through France after the arrival of Zarafa (a young female Ethiopian giraffe given by the Viceroy of Egypt to France’s King during the 1820s). 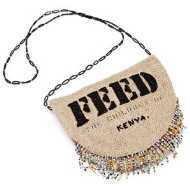 You may remember her image appeared on china, textiles and other household goods. Parisians were also captivated by Hans and Parkie, two elephants from Southeast Asia residing in the Menagerie, and by Josephine's black swans. A well-illustrated companion catalogue is available here. A different kind of French natural history is explored in the fall 2013 issue of Flower. For the magazine, I had an opportunity to review Dior Impressions: The Inspiration and Influence of Impressionism at the House of Dior. This is another exhibition catalogue, accompanying a soon-to-close show at le Musée Christian Dior in Granville, France, and it explores how the art movement, with its emphasis on all things botanical, has motivated Dior designers from Saint Laurent to Galliano to Simons and of course the House's original couturier, Monsieur Dior. Up for more talk of floral-strewn fabrics? 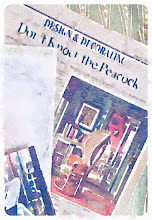 In the same issue, check out the story Karen Carroll produced, Designers on Chintz.